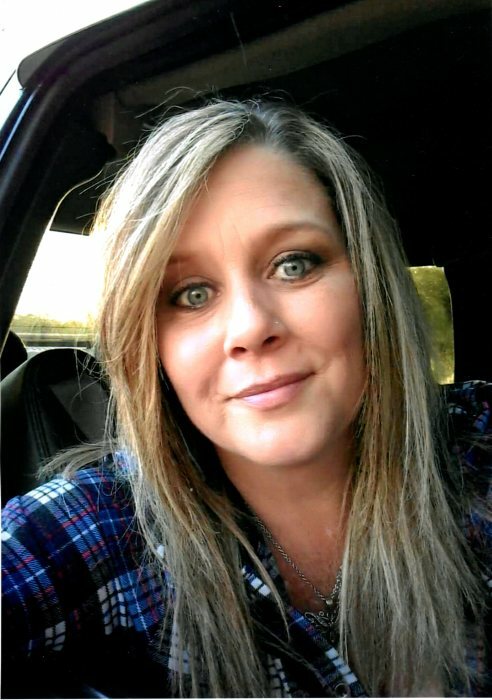 Erica Leigh Studdard, age 39, of East Dublin, passed away Friday, November 2, 2018. Erica was born in Laurens County and was a graduate of East Laurens High School. She was a nurse and homemaker. She attended Wilkes Church of the Nazarene and enjoyed doing crafts and going to the river with her family and friends. Erica was a devoted wife and loving mother, daughter, and sister. Survivors include her loving husband of 20 years, Chris Studdard, of East Dublin: cherished sons, Hunter and Logan Studdard, both of East Dublin; parents, Donald and Janice Warnock, of East Dublin; sister, Renee Warnock Fowler (Johnny), of Cadwell; brother, Donald Mark Warnock, of East Dublin and numerous nieces, nephews, aunts, uncles, and cousins. The family will receive friends from 6:00 PM until 8:00PM on Monday, November 5, 2018 at Townsend Brothers Funeral Home. Services will be held at 2:00PM on Tuesday, November 6, 2018 at Wilkes Church of the Nazarene with burial to follow in the church cemetery. Pastor Al Soles will officiate. Pallbearers will be Tommy Clinard, Dustin Fowler, Tyler Stone, Ashley Smith, Jerry Tyson and Amos Tyson.